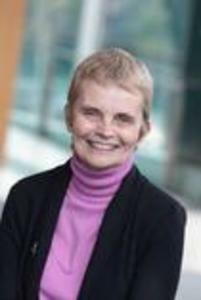 Cheryl Saunders is Laureate Professor Emeritus at Melbourne Law School and is a research leader on Australian constitutional law as well as a globally recognised scholar and practitioner in comparative public law and constitutional design. She is a recognised international expert on federalism and decentralisation, the role of different branches of government and management of change. In addition to her research and teaching activities, Cheryl is active in public debate on constitutional matters in Australia and internationally. From 1991, as deputy chair of the Australian Constitutional Centenary Foundation, she was closely involved in its pioneering work to encourage public understanding of the Constitution. She has had some involvement in aspects of constitutional design in other countries, including Fiji, South Africa, Zimbabwe, Sri Lanka, East Timor, Iraq and Nepal. She recently edited, with Professor Adrienne Stone, The Oxford Handbook of the Australian Constitution, which provides a comprehensive overview and introduction to the Australian constitutional system in law and practice.